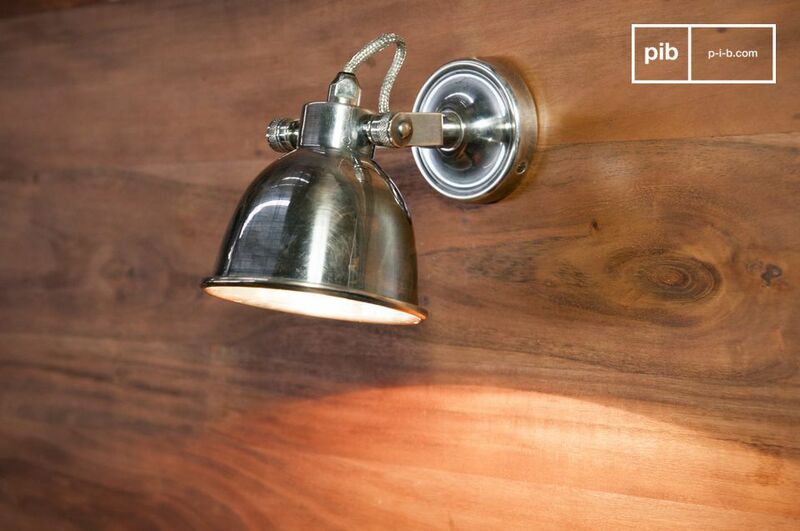 The large Bistro wall lamp is a timeless piece of lighting, with its sober lines and impeccable finish making this piece particularly elegant light. 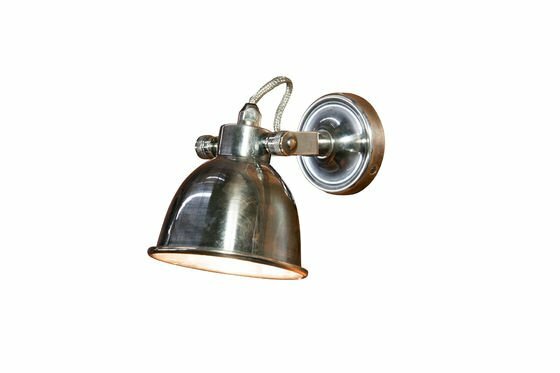 Just as the small bistro wall lamp, it is made entirely out of brass that has been plated with a nickel and silver alloy. 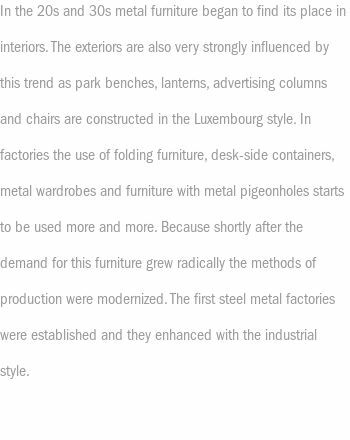 You will appreciate its minimalist beauty which is inspired by the vintage industrial design style. 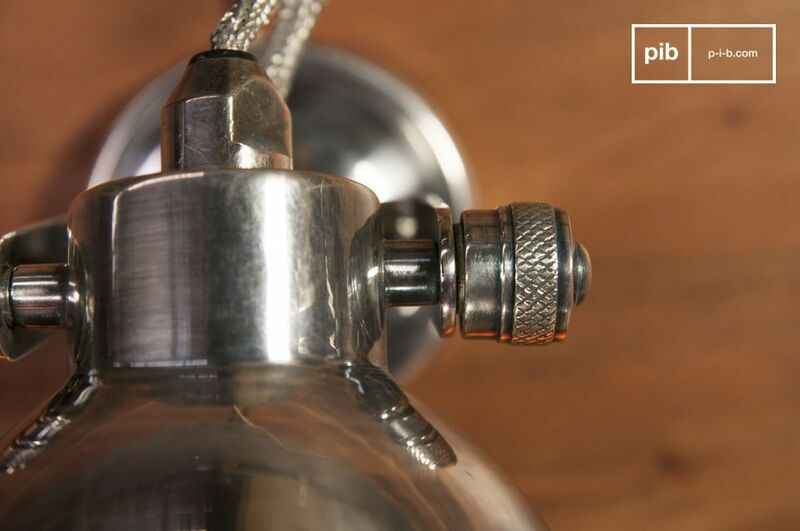 The lampshade is 13 cm in diameter and can be moved in order to shine light on different parts of your interior. The light comes round enclosure can be easily mounted onto your wall, and most definitely hides any wires. 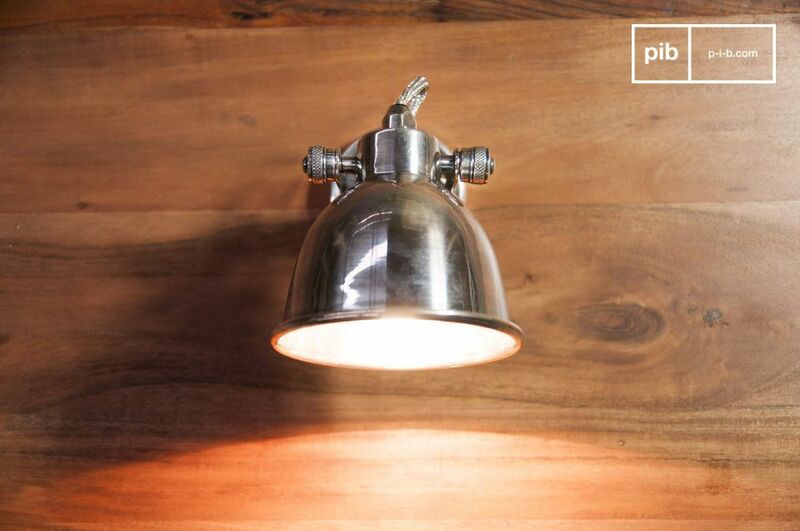 This version of industrial wall lights will find itself perfectly placed within a New York loft styled apartment, or in the cosy living room of a vintage home. The product has an E-14 socket and an IP-20 protection rating. Max 25 Watt. Suitable for indoor use only. 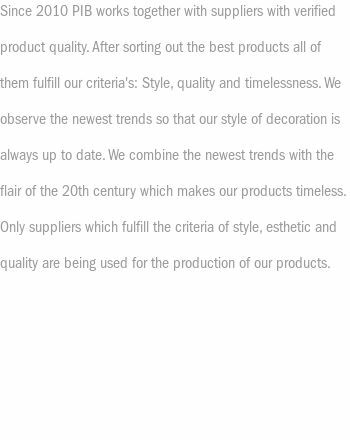 Beautiful quality products, robust and carefully finished.